Maxis confirmed with us that U Mobile customers can now roam on the Maxis 2G network. A source close to MalaysianWirelss said that while the roaming has already started, it won’t be nationwide as Maxis and U Mobile are rolling it out in stages. We were told that the roll out is scheduled to be completed by September 16 or latest by end October. The 2G roaming allows UMobile subscribers to make voice calls, SMS and use data especially at areas with poor U Mobile coverage or no coverage at all. The roaming also allows customers without a 3G phone to use U Mobile service. 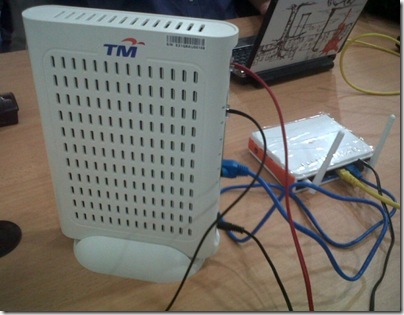 MalaysianWireless tested the roaming on Maxis 2G network and the experience was good. Call quality was better and data speed was faster. At some areas, U Mobile customers will have to manually select Maxis 2G network, if not they will remain on Celcom 2G network in the automatic mode. It has been reported that U Mobile plans to terminate its domestic roaming agreement with Celcom and it will choose to roam on Maxis instead. The 2G roaming agreement was originally expected to begin in October. U Mobile already has a 10-year multi-billion ringgit agreement with Maxis on 3G radio access networks (RAN) sharing. The deal with Maxis allows U Mobile to expand its current 2,000 3G base stations to 4000 base stations by 2013. Both companies are already working on sharing some 1,300 sites in the coming months. At the moment, Maxis has some 5,200 3G sites and 7,000 2G base stations. The 3G sharing is expected to go live sometime mid-September.